I started work on this February of 2017, and it has gone through about half a dozen complete overhauls, including heavy artwork optimization. 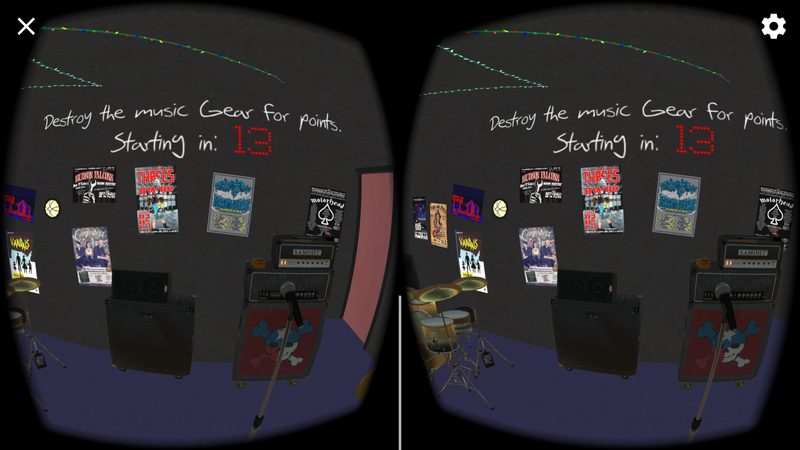 This will be the first in a series of 12 interactive VR music experiences that will culminate in a VR album that's like an arcade with 12 different games. 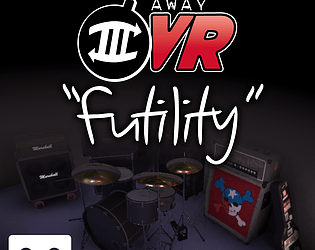 Signing up for FFS was the motivation I needed to finally get Futility polished up and ready for release in February. Thanks for pushing me to finish this. 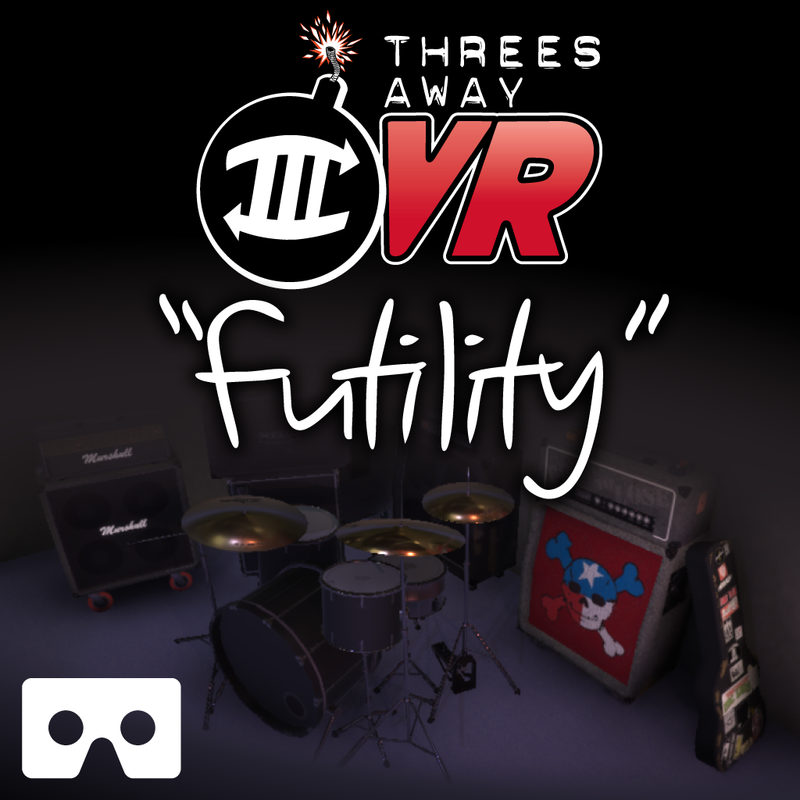 Coming very soon for Android/Cardboard and Gear VR! 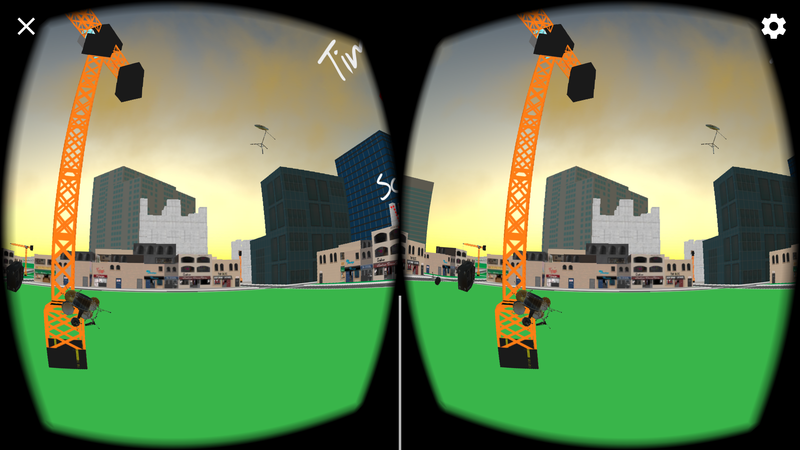 A quite innovative idea (and something I kind of tried in the past) - it's been a while since I had any fun with VR! 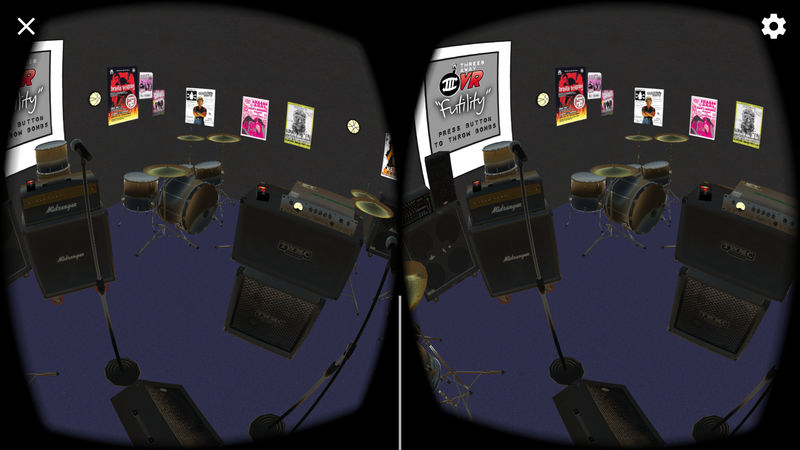 That said, the music was stuttering for a good chunk of it (to the point of becoming uncomfortable to play). There also some minor z-fighting (more noticeable at the first scene). The buttons worked well, tho. I've only got the S6 to test on, and it runs well until the phone starts heating up, usually on the 3rd consecutive playthrough. I was able to build out and test on a S8, and that did not have any thermal issues or slowdown, but it did have some z-fighting in the hallway/menu scene. I tweaked the positions of the doors, and that solved it at that time. I'm bummed to hear that you're seeing z-fighting issues. Is it all the doors in the hallway, or just the ones that are farthest away from the camera position? Sorry to badger you with a bunch of questions, but I was really hoping that this version was finished/ready to release, since it was running with no issues (besides thermal throttling after multiple playthroughs) on my S6. I really appreciate you alerting me to these issues, and any more feedback would be super helpful, if you've got the time to mess with it. Thanks again! Playing in Non-VR mode now and still stutters. Seems to get worse when things are flying around and there are explosions. On a second play thru, it seems to get worse, sadly. I would bet on the physics engine taking too much time and starving the audio buffers. Any other test you might want me to perform? Feel free to ask. What did you use? Unreal? Unity? Thanks for being so understanding and helpful. The engine is Unity and I used Blender to model everything. I've already optimized everything as much as possible ( all music gear is sharing a single 4k texture atlas and 8 materials and everything has simple box colliders), so I think that I just need to raise minimum specs to S7 or better and release it. Thanks again for checking it out and letting me know about the issues. I wish I had a better solution. So...can I play it with Cardboard? My headset trigger is not really the best, so I end up having to use the Google IO 2016 Headset, but that one requires me to hold the visor at all times (for my own projects, I end up using a BT joypad). Yes, it's designed for cardboard 2.0 (the one with a conductive button). I've tested it using a bluetooth controller, and the main button (Fire1, likely A or whatever the bottom face button is) works to throw bombs once you're in the gameplay scene. The button doesn't seem to work in the first/menu scene, but if you tap the screen while looking at the start button, it will start, and you can then play with a BT controller. I'm looking into why there's no input in the menu scene. Please email me at granitetopgames@gmail.com if you have any other issues. Thanks! Would love to check it out on GearVR! Great! Please email granitetopgames - at- gmail -dot- com and I can get you set up. 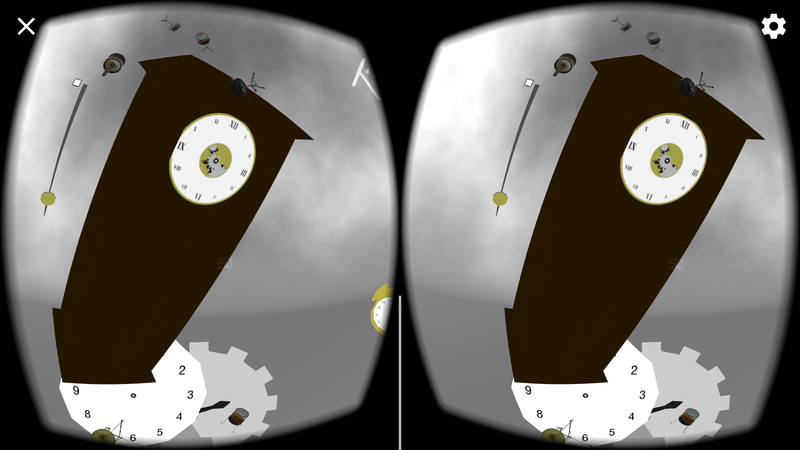 For an unpublished GearVR build to work, we need to create an OSIG file that I need to include in the build. I will send directions on how to generate the file if you email me. Thanks!